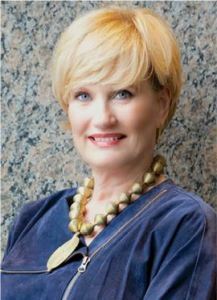 Janey specializes in Buckhead and surrounding neighborhoods – from cottages to multi-million dollar homes. Total sales from her entire career exceed $500 million. Over the past few years Janey and her group have sold more than sold $163 million worth of real estate, even while the U.S. economy was just recovering from a five-year recession. Elise Lowe Baumann is personable, approachable and energetic. A native of Atlanta, real estate is not only her passion, it’s also a family trade as her mother, Janey Lowe, has been an agent in Atlanta since 1987. When Elise isn’t doing everything she can to take care of her clients and three rambunctious sons, Fitz, Rodes and Meyer, she enjoys hot yoga, cooking and skiing in the Rocky Mountains. Elise grew up in the Historic Garden Hills neighborhood located in Buckhead and attended Holy Innocents Episcopal School. 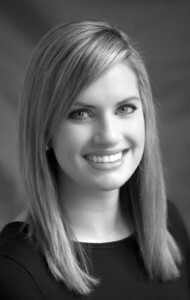 A graduate of The University of Colorado Leeds School of Business, Elise spent several years after college working for a well-established Denver real estate agency and received the opportunity to learn from one of the top agents in the area. After Elise married Kyle Baumann they decided that they wanted to build their careers – and raise their family – in Atlanta. Her passion to learn from the best and continue her career in residential real estate is what drove her to create The Lowe Baumann Group at Beacham & Co. Realtors in Buckhead. Elise has established herself as one of the top producing realtors in the Atlanta in-town market – closing over $200 million in sales the last 5 years – thanks to her rare level of insight and experience with local neighborhoods. From the best school districts to simply providing helpful advice on the best local services in certain neighborhoods, Elise helps her clients navigate through the intricacies of the Atlanta real estate market. If all of that isn’t enough, she is also an expert at creating effective marketing strategies to attract ideal home buyers. She will work with you on professional photography, brochures that showcase your home, links to more than 500 websites, personal networking and a custom marketing plan. To discuss your real estate needs please contact Elise any time via email at [email protected] or her mobile number is 404-566-2477. 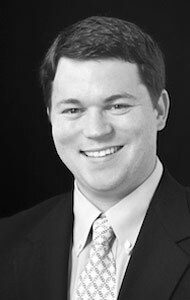 As a partner at The Lowe Baumann Group, Kyle works alongside his wife Elise and his mother-in-law Janey through Beacham & Company Realtors in Atlanta. In five years he has closed over $200 million in sales throughout Atlanta.